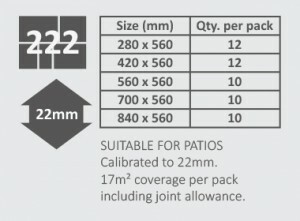 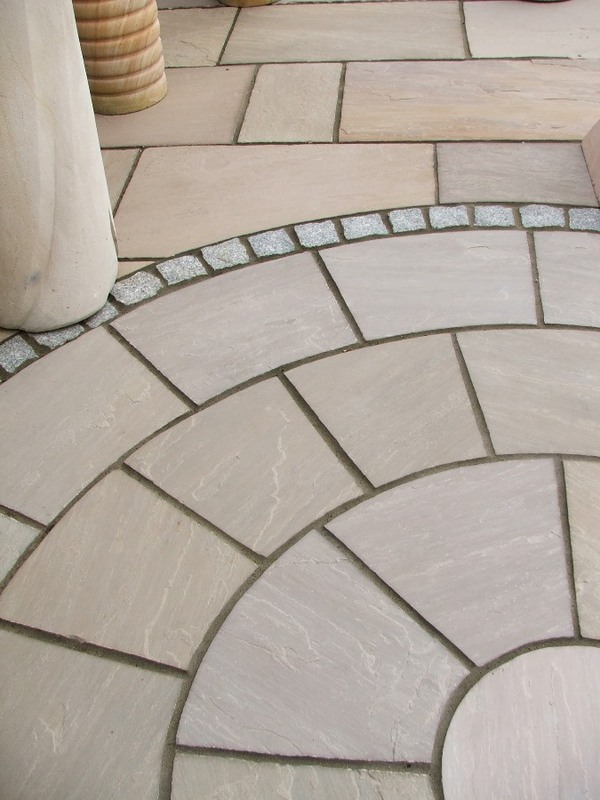 Categories: Driveway Paving, External Stone, Patio Paving. 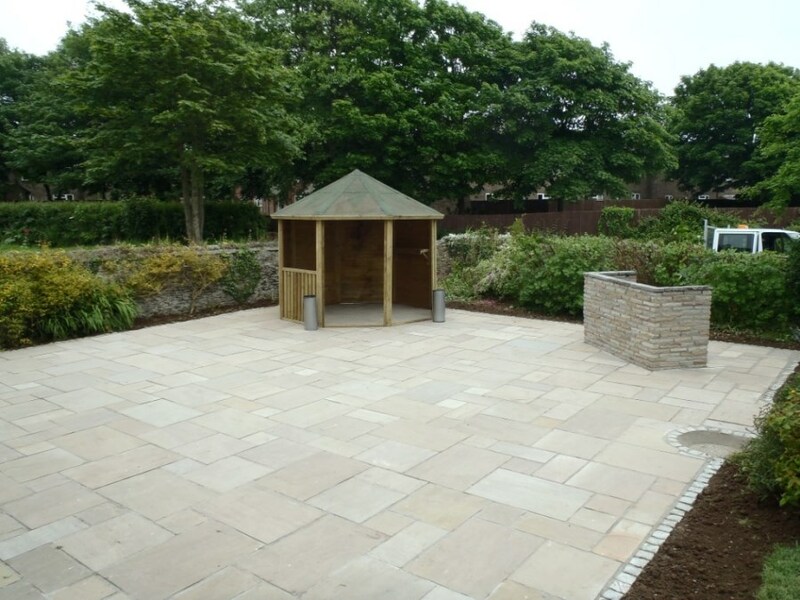 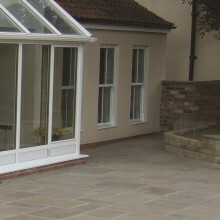 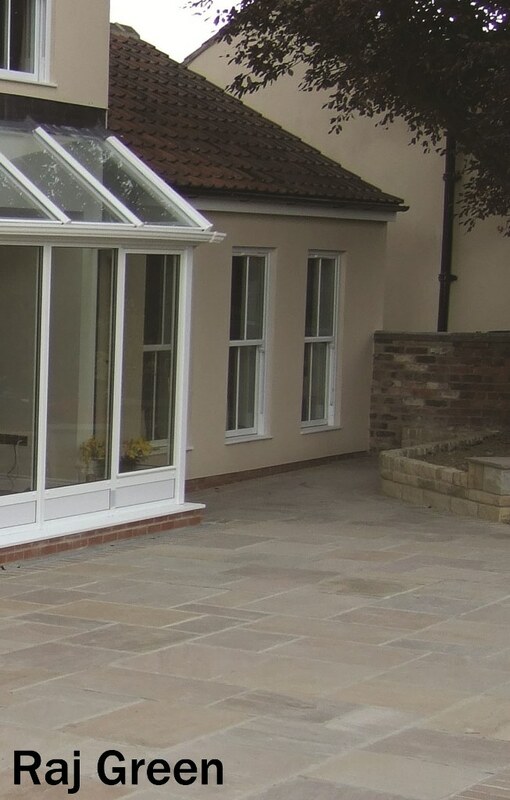 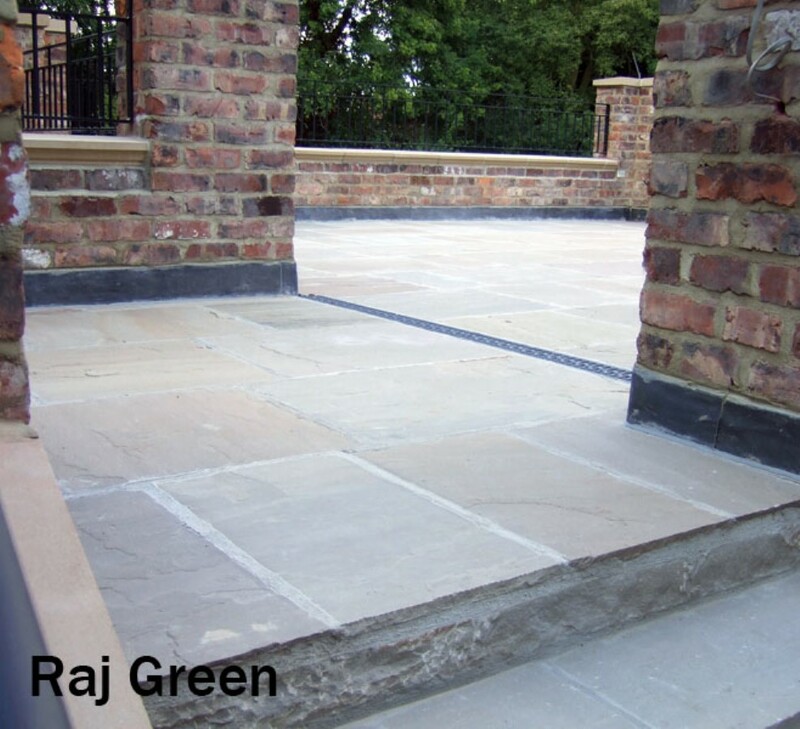 Our Raj Green natural sandstone paving slabs are suited to the British climate and are a very stable and versatile frost resistant product. 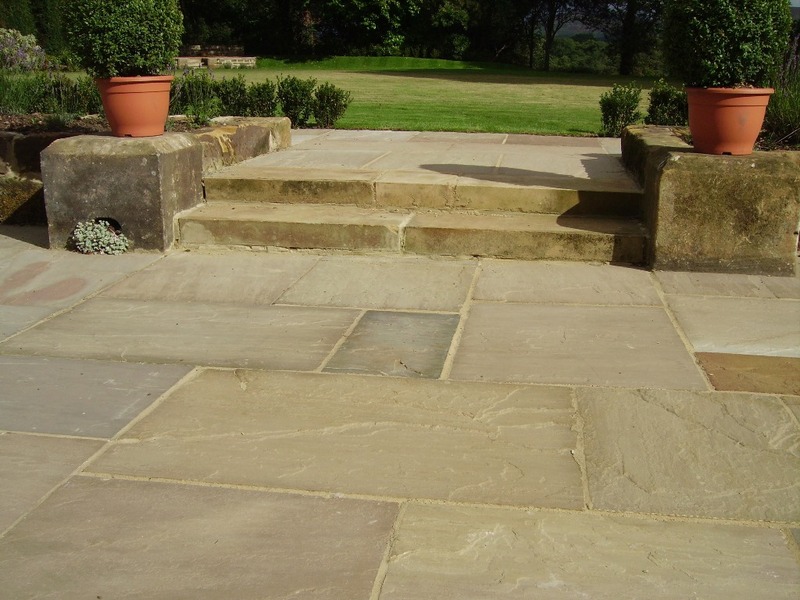 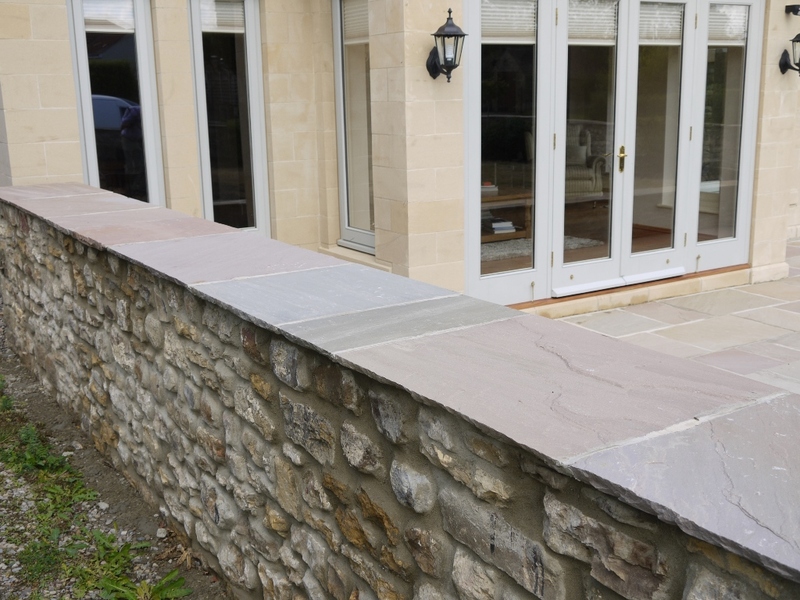 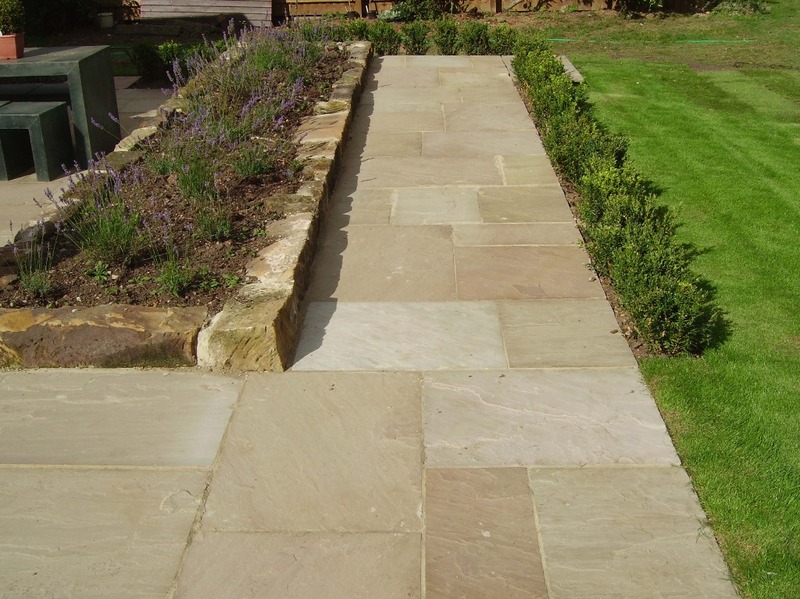 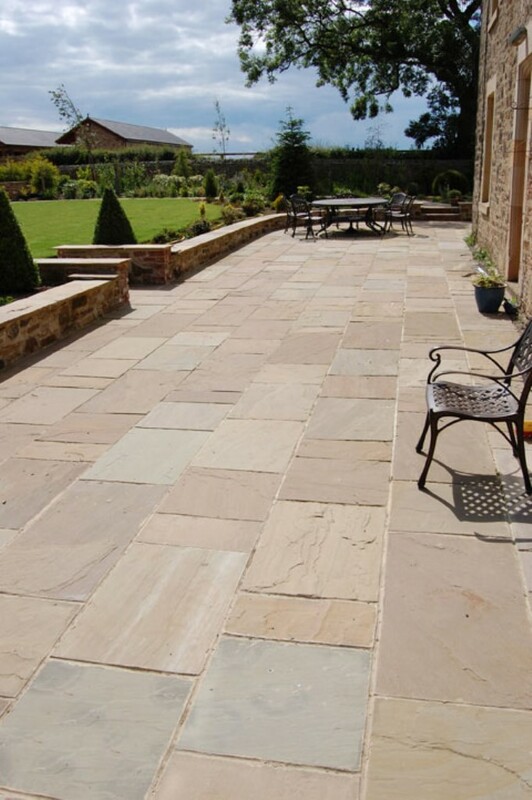 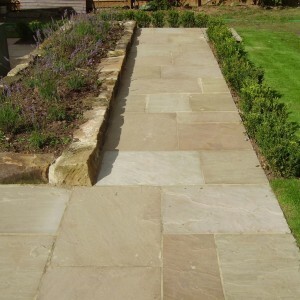 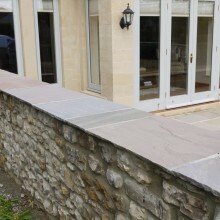 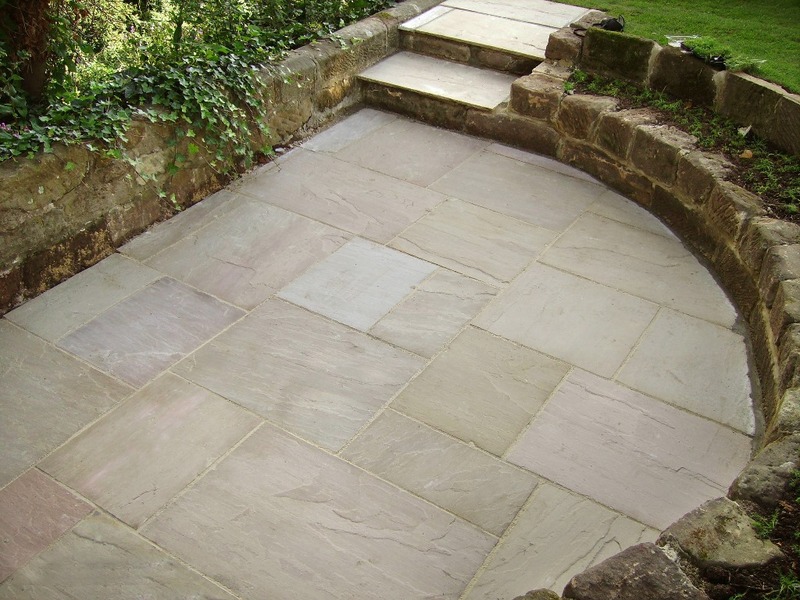 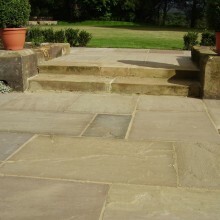 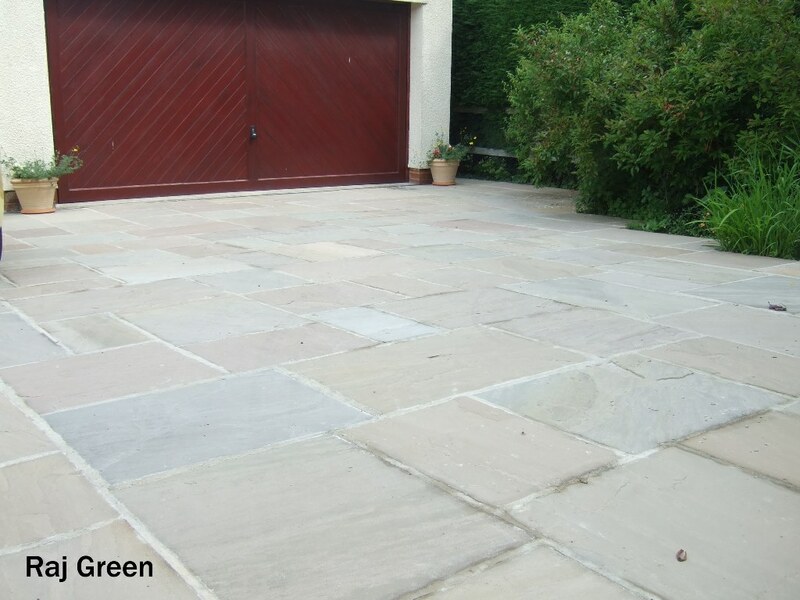 Once weathered, Raj Green has a natural appearance and mimics many of the qualities of reclaimed Yorkstone, providing a stunning and affordable alternative for your patio, path or driveway. 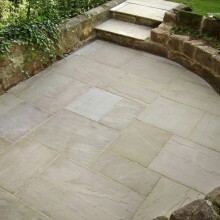 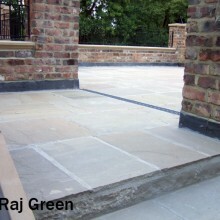 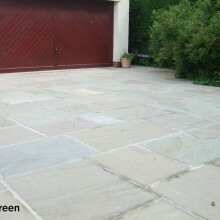 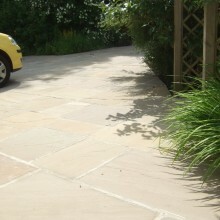 Raj Green is one of our most popular sandstones. 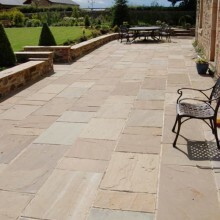 From the Rajasthan area in the north west of India, Raj Green is from the same mines as “Autumn Brown” but found at different depths, which gives the stone its subtle blend of green, brown, plum and grey Autumnal tones. 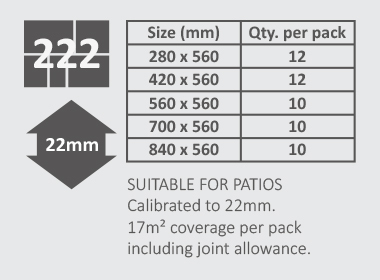 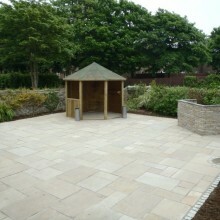 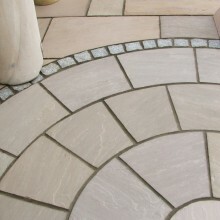 Also available are a range of extras to finish off your garden which include circles, setts, steps and walling! 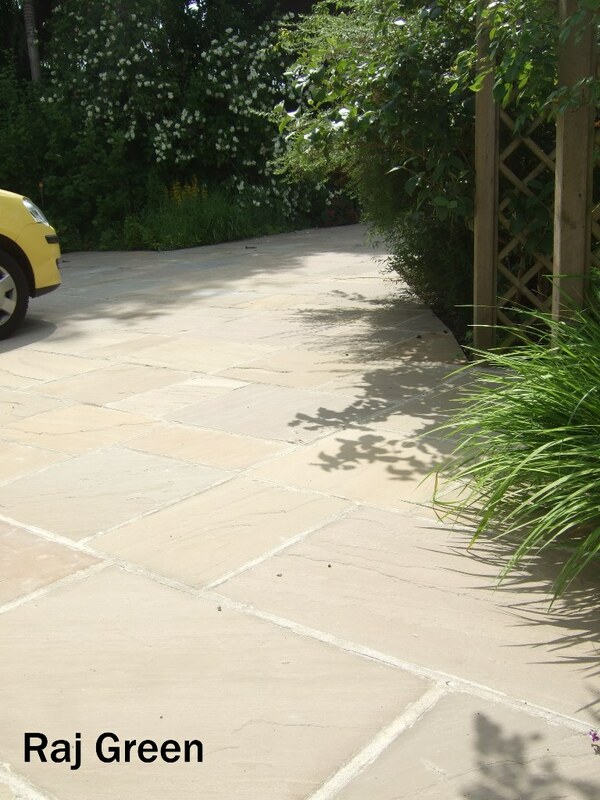 This stone is now available in our handy sample packs for just £2.99. 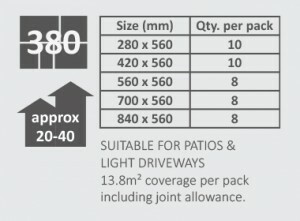 Call 01677 470999 to order yours today!